ANY OTHER PISTON ON THE MARKET. PATENT PENDING ON DESIGN AND APPLICATION. PBU 4 PEDAL REED KITS. 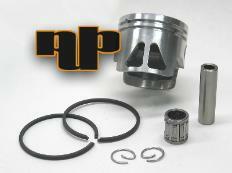 - NO OTHER PISTON SET ON THE MARKET LIKE IT.